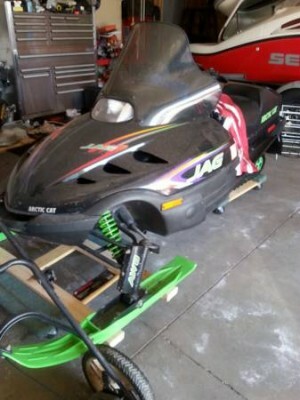 99 Artic Cat 440 Jag fan cooled, electric start, studded. Broken clutch replacement part included, otherwise runs fine. $900/OBO.